This is so adorable and perfect for a new home congratulations. 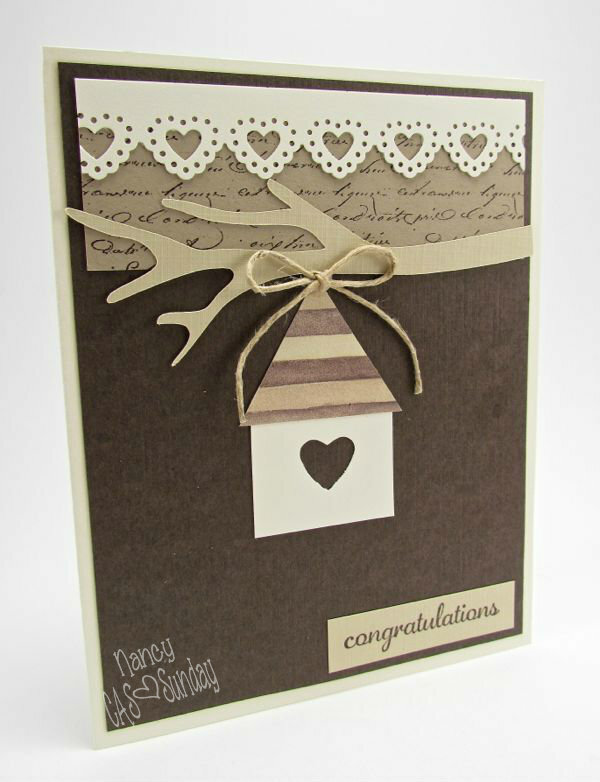 Love the cute birdhouse and the heart border. Love your card. Cute little house and an awesome heart border! Something went wrong with my comment I believe? Love your card! Great colors and awesome heart border! Lovely card, Nancy! Perfect to celebrate a new homeowner!